Can I give you a small piece of advice? Never try to promote one book when you're on deadline to write another. This is particularly bad when CTMH releases your favorite Stamp of the Month at the same time and you don't have nearly enough time to play. Ugh! But my eyeballs were bleeding from too much screen time, so I sat down at my craft table and got inky. That was about two weeks ago. I took pictures of the card but didn't have the SD card in my camera. Yes, it's been that kind of month. Okay...off to the writing cave. If you don't see me for another week, send chocolate. Hey all...poking my head out of the writing cave to let you know about a FLASH SALE on one of my novellas. 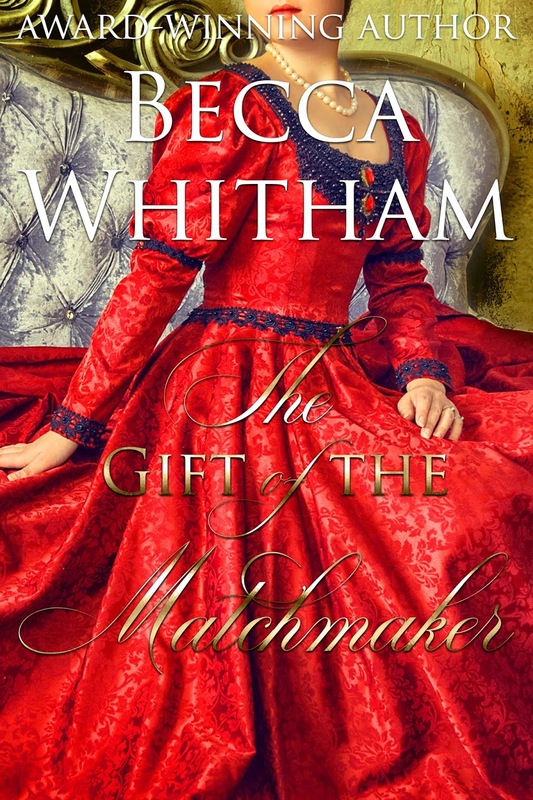 It's called The Gift of the Matchmaker, and it's on sale for $0.99 for a limited time. This is the first of two connected stories, so if you're curious about the maid, Rosalie, you can read her story: Cinderella's Masquerade. Both of these stories come in Christmas themed collections. 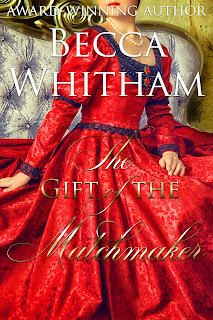 The first is "Merry Matchmakers" and the second is in "A Christmas Masquerade." The collections have many novellas by multiple authors and sell for $2.99. The individual novellas normally sell for $2.99 per story, so the collection is a great deal. And now it's back to the writing cave so I can meet my Nov. 1 deadline. I promise, when this is done, I will back to crafting like a crazy woman because my fingers are ITCHING to get inky. 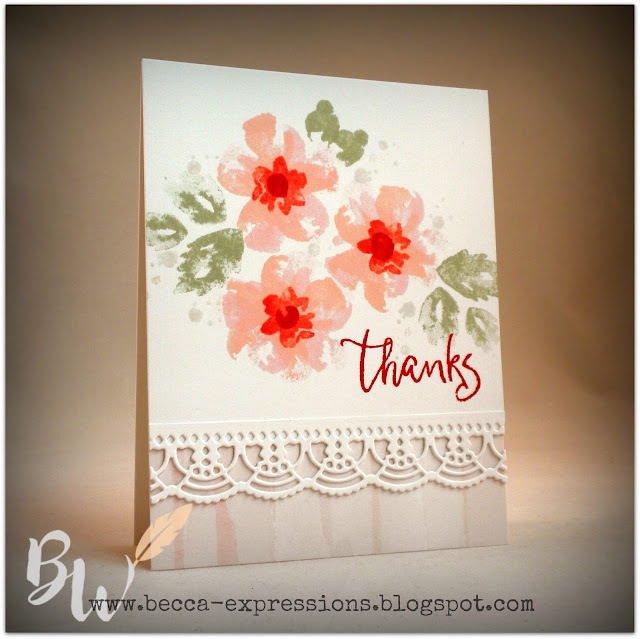 Like yesterday's post, I combined Bunches of Love with the October Stamp of the Month: Thanks & Giving. This time, I used only the filler stamps from Bunches of Love for my floral image. I've included the image of the Bunches of Love set so you can visualize my process as I explain it. I stamped the largest flower twice, first in Ballerina then slightly offset in Peach. 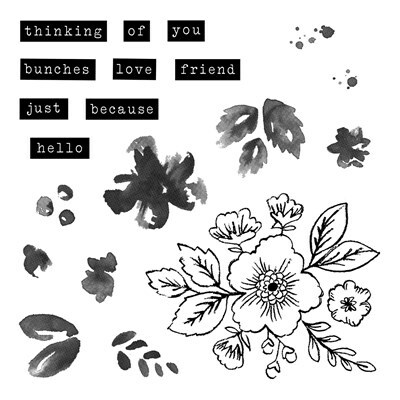 The centers are the smaller, symmetrical flower (top third, far right) in Smoothie with just one of the trio of dots (directly under "hello") inked in Pomegranate for the very center. The leaves were stamped in Sage. The splatters were stamped in Linen which is my new favorite color. It took me a long time to order it because it's so light. I thought it wouldn't show up well. Boy, was I wrong. The sentiment comes from Thanks & Giving and was stamped in Pomegranate. Peach, Ballerina, and Sage are new inks introduced in the Holiday Expressions catalog that released last month. I'm loving all these soft colors. See yesterday's card featuring Sage, Lilac, and Carolina. The lace border along the bottom was created using the only non-CTMH product. It comes from Altenew. I could have used the new Decorative Border Thin Cuts from CTMH, but I really liked the delicacy of that lace over the soft Ballerina pattern from the Boutique paper suite. And now it's time for me to get back to my day job. I've written myself into a corner - which was on purpose - but now I have to figure out how to get out of it. Oy! I've made no secret of my love for the new Bunches of Love set. For this card, I've paired it with a single sentiment from the October Stamp of the Month: Thanks & Giving. I started by cutting a piece of vellum paper at 4.25 x 11 inches and folding in half along the top. 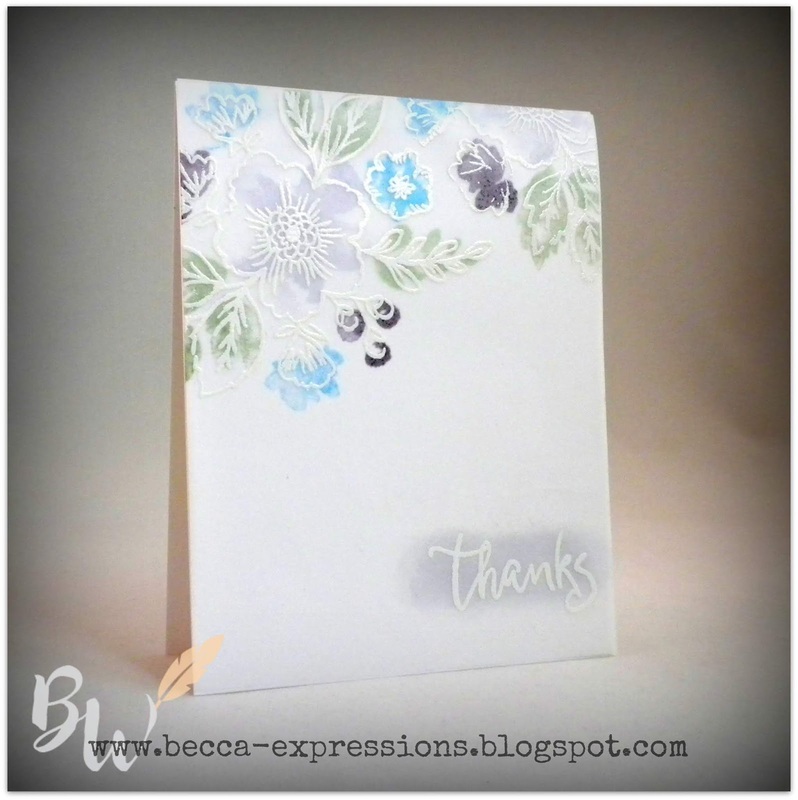 I stamped the outline image of the flowers in Versamark ink along the top fold and embossed it with white powder. I then turned the vellum over and stamped the filler images. I used a sponge dauber to create the shaded background behind the sentiment. To keep the filler images from stamping on the back inside, I used a scratch piece of paper as a mask along the center fold line. After the vellum was dry (which takes a while), I secured it to the cardbase by running a line of glue on the back, inside of the vellum. In other words, the glue is behind the stamped part of the vellum with the cardbase between. I hope that makes sense. White embossing over vellum is so classy. It's one of my favorite techniques. Oh...and for those of you who are wondering, I got my word count in. Just one more month to go before my deadline at which point I intend to celebrate by taking a very deep breath and spending a significant portion of my day crafting.